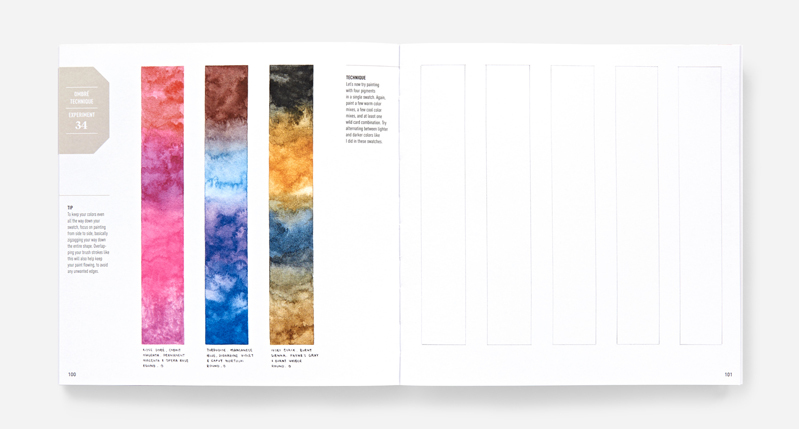 How did your book “Watercolor Workshop” come about? Authoring books is something I’ve wanted to do all my life. One reason I chose to apply to and attend SVA MFA Design was the possibility that I might gain insight into how to get into authorship. Under the mentoring of Steven Heller and Abrams Editor-at-Large Howard W. Reeves I was able to get this knowledge and eventually find representation. Through a conversation with my literary agent Kate Woodrow at Present Perfect Dept. 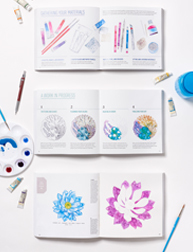 we decided to pursue a watercolor workbook with paintable pages. 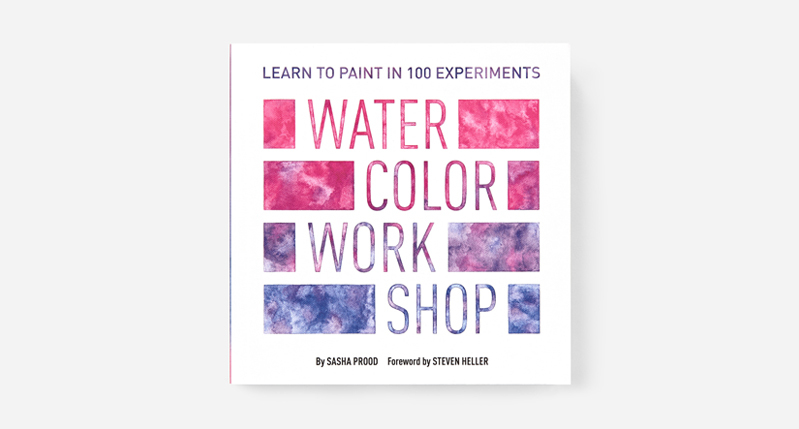 This started as a book proposal, and evolved into my first book Watercolor Workshop: Learn to Paint in 100 Experiments, fully formed with the guidance of Abrams Noterie editors Karrie Witkin and Bridget Waterhouse, as well as Art Directors Hana Nakamura and Diane Shaw. Was your experience at SVA MFAD beneficial to overcoming these challenges? Getting to the launch of my first book was very challenging. 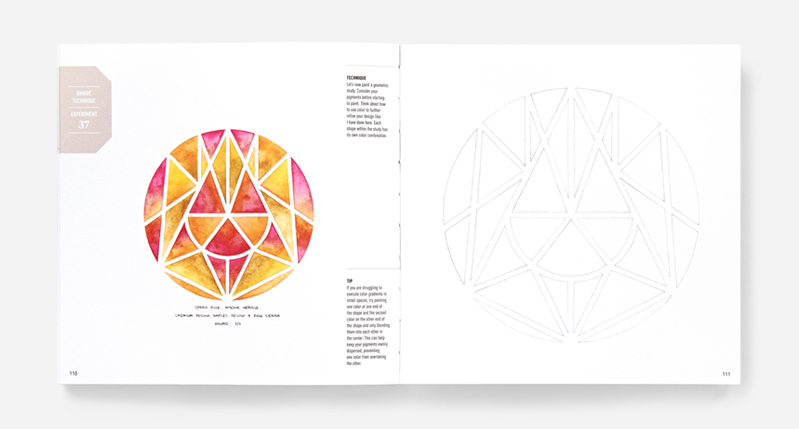 This process started in 2012 with an idea, and by February 6th of this year Watercolor Workshop was finally published. Designing, Illustrating, and writing a 256 page book made up approximately 250 pieces of art was also very challenging! If I had not completed the SVA MFA Design program I would not known how much I’m capable of. My graduate experience gave me the confidence to believe I could take on such a large task and succeed at it. I run a small studio, Sasha Prood Studio, that specializes in hand-drawn and hand-painted designs. 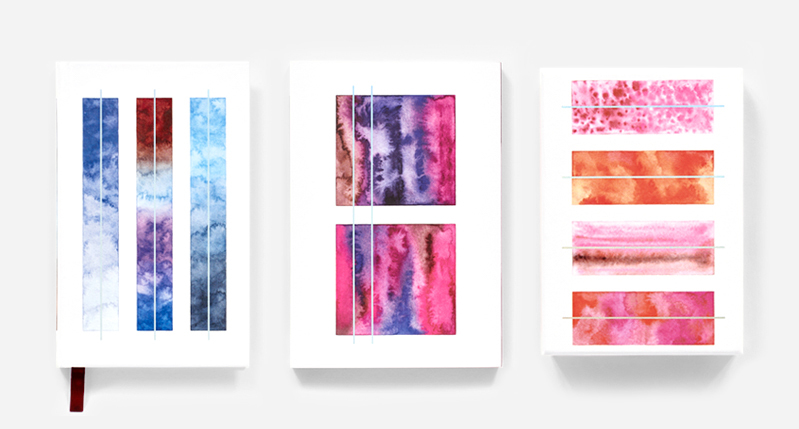 I work as a handletterer, illustrator, graphic designer, and am newly the author of Watercolor Workshop: Learn to Paint in 100 Experiments, and it’s corresponding products, a journal, notebook, and notecard set. Currently, I’m also in the process of developing my second book, Marker Workshop: Learn to Ink in 50 Experiments. Additionally, I pursue teaching opportunities, and enjoy lecturing and running workshops. My thesis Hila, a series of children’s drawing books has evolved into the book projects I’m currently working on. My first book Watercolor Workshop recently launched, and my second Marker Workshop is in the works. Both of these books are for creatives of all ages and skill levels, but I do have plans to go back to the core of Hila and create children’s focused workbooks as well. What is Thesis Forum and why is it such an important part of the program? Thesis Forum is an opportunity to take everything we’ve worked on while at SVA MFA Design and pull in together into a clear, concise story to share with our peers, mentors, and industry professionals. This is important because it’s the transitional point between a students idea and a professional product. What is your favorite part of the SVA MFA Design program? My favorite part of the SVA MFA Design program was the opportunity to take my ideas and turn them into actions with the guidance of professionals who had the knowledge I needed to take those next steps. Out in the “real world” it’s much harder to make business connections and gain missing knowledge. Being a student in such a well connected program is a gift; All you need is an idea and the willingness to ask questions. Do you have a story that you can share that describes the community experience? Getting to my first book deal was the ultimate “design community” experience. Talking to Steven Heller lead to an introduction to Abrams Editor-at-Large Howard W. Reeves. Through working with Howard as my thesis advisor, I was introduced to members of the Abrams Noterie team. This introduction lead to the suggestion to reach out to literary agent Kate Woodrow of Present Perfect Dept. After signing with Kate and developing a book proposal we shopped it around to various publishers, eventually coming back full circle and signing with Abrams Noterie. Without that design community this series of events would have never gotten started! How were you challenged by the program? The SVA MFA Design program was one of the most challenging and rewarding experience I’ve gone through. It’s both mentally and physically demanding to keep up with the workload and high expectations. This program is part design bootcamp and part rapid fire, blue sky venture incubator. It’s a combination of wonderful and exhausting! The SVA MFA Design program has had a huge impact on my career. Through this program I gained the knowledge necessary to get into book publishing, which has been a dream of mine since I was a child. I have always been a “do it all” type of creative and appreciate that SVA MFA Design also takes that approach. Running a small studio, I have to take on everything from the graphic design, to the illustration, to the handlettering, to the copywriting, to the web coding, to the photography, to the retouching, etc. I believe this approach is necessary for the modern creative; You have to be able to do it all at a high level, otherwise you will be left behind. Work hard, ask questions, and keep an open mind, and you will be rewarded. Check out my work at www.sashaprood.com. Follow me on Instagram @sashaprood. And keep an eye out for my second book Marker Workshop: Learn to Ink in 50 Experiments, launching Spring ’19!